Researchers at Nationwide Children`s Hospital charted 21 years of data and found that the number of children treated in U.S. emergency rooms due to child safety gate-related injures has nearly quadrupled. 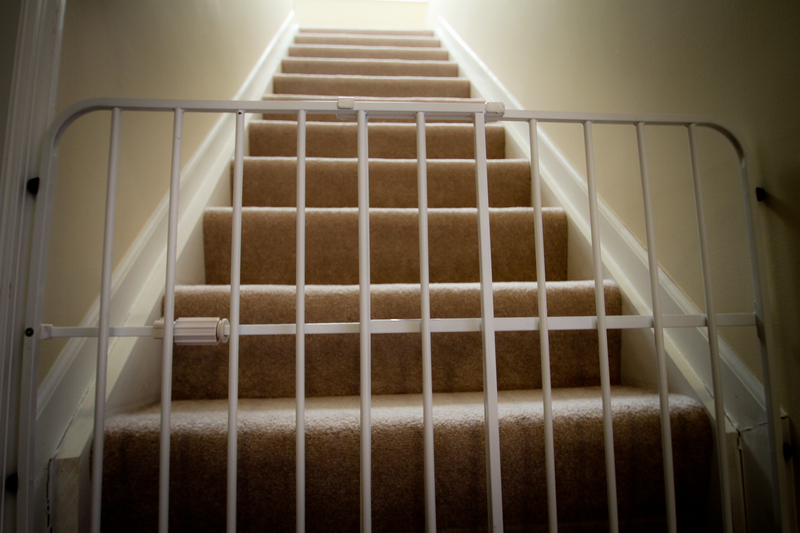 Experts say tension-mounted gates should only be used between rooms and at the bottom of staircases, and gates mounted to a wall, like the one shown, should always be used at the top of steps. 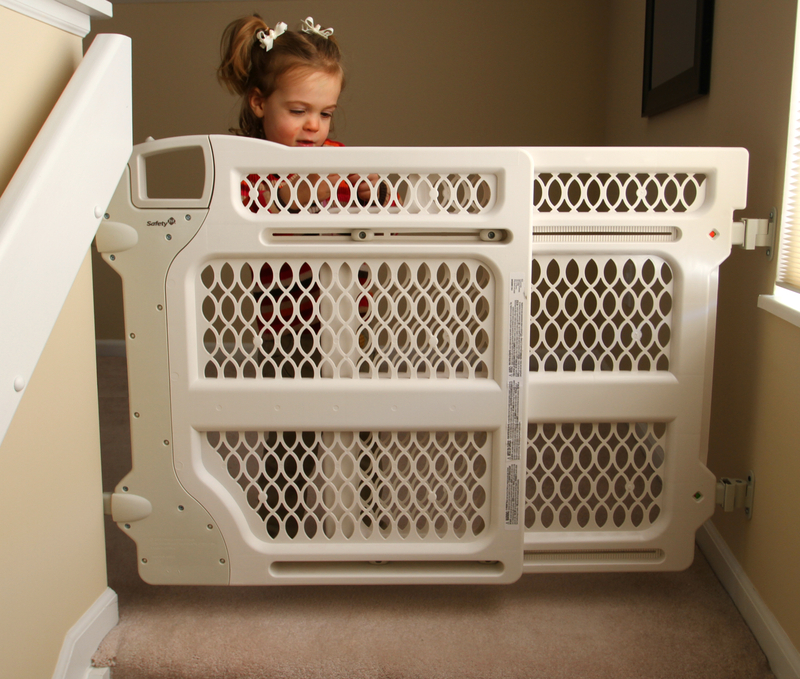 (COLUMBUS, Ohio) May 2014 – A newly published study shows that baby gates, which are designed to help protect children around the house, are actually responsible for a growing number of injuries. “We looked at emergency department visits between 1990 and 2010, and found that the incidence of baby gate-related injuries nearly quadrupled,” said Lara McKenzie, PhD, lead author of the study and principal investigator at the Center for Injury Research and Policy at Nationwide Children’s Hospital. “Despite the voluntary standards and the recalls that we’ve seen for gates, we’re still seeing a really significant increase in the number of injuries related to them,” she said. The study found that 37,673 children were treated in emergency departments due to baby gate injuries during the 21 year study period, and that the incidence rate climbed from 3.9 injuries per 100,000 children in 1990, to 12.5 per 100,000 by the study’s end. “We need to do a better job of making these products easier for parents to use and safer for children to be around,” said McKenzie. A newly published study shows that the number of children treated in U.S. emergency rooms due to child safety gate-related injuries has nearly quadrupled. Researchers at Nationwide Children`s Hospital conducted the study, which tracked more than 37,000 reports of injuries from 1990-2010. Jessica Fannon talks to her daughter Ella though a mounted baby gate in her home in Grove City, Ohio. When she was just nine months old Ella pushed through a tension-mounted gate and fell down 14 steps. A newly published study by researchers at Nationwide Children`s Hospital has found that the number of children treated in U.S. emergency rooms due to gate-related injuries has nearly quadrupled since 1990.